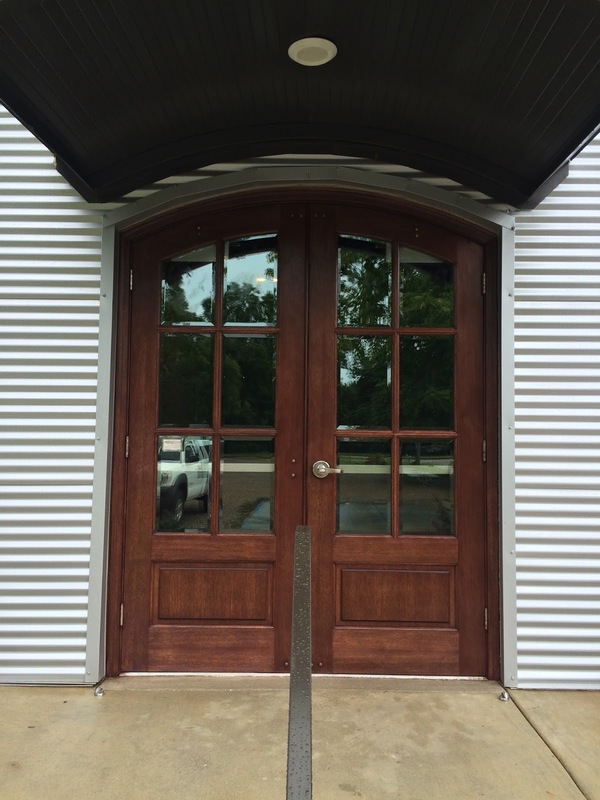 These two french style exterior doors were installed about a year and a half ago at a local business in Collierville. 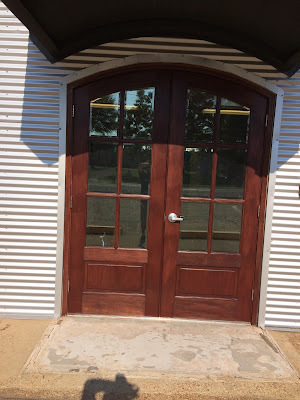 When they were finished the contractor used an interior rated stain to color them and then put a oil based exterior urethane on top to protect the doors. He got it half right, but the problem is that even though there was an exterior clear on them, interior stains don't hold up to the elements. They fade and crack. You need both an exterior rated stain with UV blockers and clear sealer for the door's finish to last. 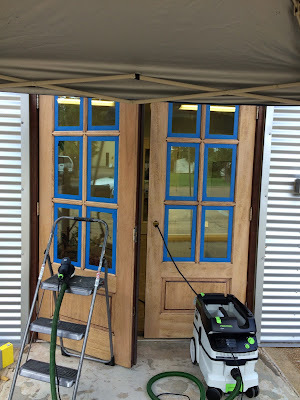 This was the stripping process using my Festool Sander and Vac to collect all the dust. I like a clean work area and these tools help me achieve that. I matched the original color of the doors which was Red Mahogany and used a semi-gloss clear sealer. 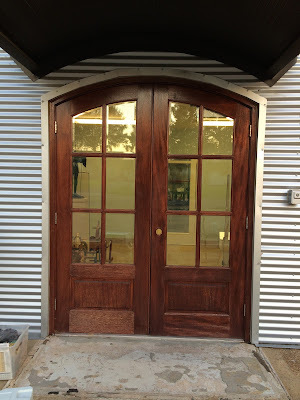 The products that I used are called Exterior 450 Water Based Stain and Clear by General Finishes. 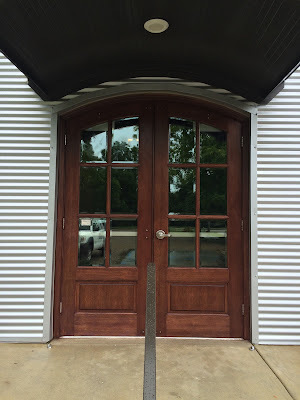 I have been using their exterior products for a while now on doors and they hold up very well to the elements and look amazing. 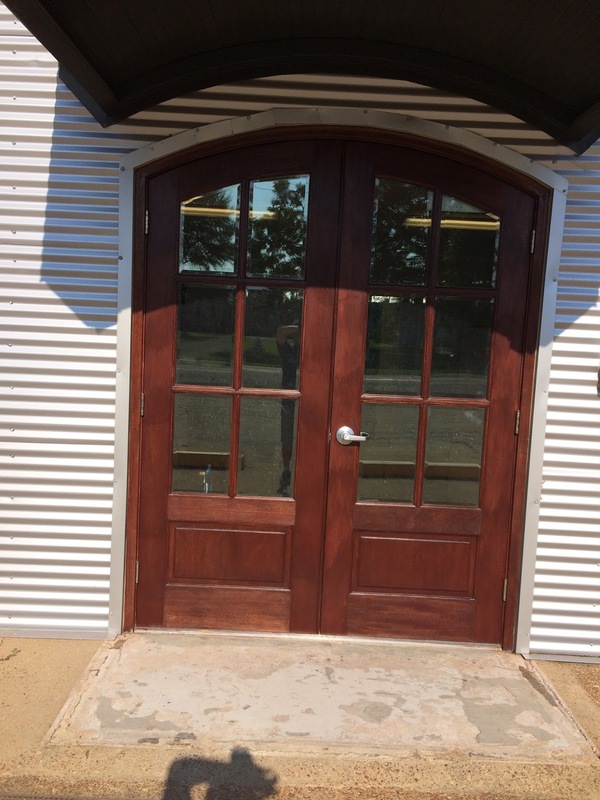 You'll notice how the new stain looks much more even than the original. 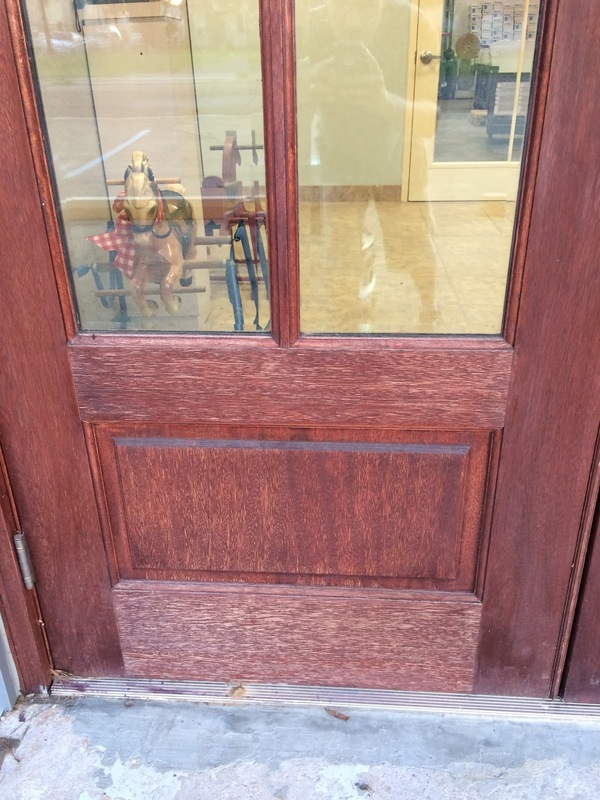 This is because the original stain was an oil, and oils can blotch wood grain, water based stains do not. The customer will have to periodically check the door as the seasons come and go to see if it needs a maintenance coat of clear, but they won't have to check as often now since the right products were used to refinish the doors.